Just the name Fiji sounds exotic. And it is—even if it's now widely familiar to American consumers as a brand of bottled water (which, by the way, is indeed sourced and bottled on the main island of Viti Levu). And yet what makes Fiji's 333 islands rank among the must-sees of the South Pacific is the fact that mixed in with all that exotic ambiance are a range of familiar activities popular with a wide array of travelers. From the very first time you hear "Bula," the exuberant Fijian greeting, you will know the rest of your stay will be one to remember. Explore our top 10 reasons why Fiji should be at the top of your travel list. While South Pacific islands offer fabulous beachfront resorts, Fiji's abundance of private islands, some just a few dozen acres in size, are the closest most of us will ever get to feeling like a castaway. In fact, the 2000 film "Cast Away" starring Tom Hanks was filmed in Fiji (as were several other movies and TV shows). Rather than build big resorts, these islands' owners have focused on a traditional Fijian feel, with small (less than 30 guests at one time) resorts offering seclusion and top-notch service. It's no wonder that Fiji's top private-island resorts, such as Royal Davui, Turtle Island, Vomo Island Resort, Vatulele Island Resort, Qamea Resort and Spa, Laucala Island and Wakaya Club, have drawn celebrities seeking five-star R&R. 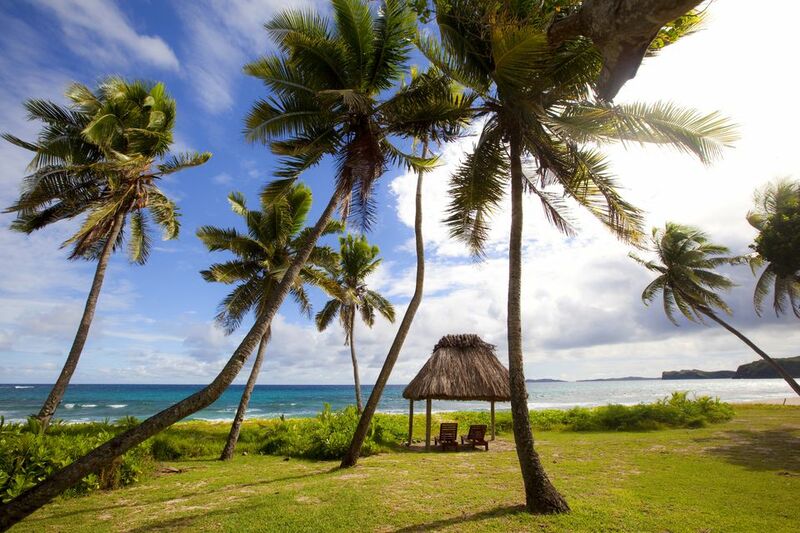 The typical accommodation in Fiji is known as a bure, a traditional thatched-roof wood bungalow set along the beach or tucked back into a fringe of tropical foliage. Often one room, but sometimes two, bures feature louvered windows to let in breezes and are mainly cooled by overhead fans and feature exotic amenities such as net-draped beds, outdoor showers, and plunge pools. Nightly rates range from about $150 for basic budget options to several thousand for the creme de la creme. Many rates at Fijian resorts, mainly those on private islands, include all meals and most beverages, so be sure to note that when comparing options. Ask anyone who's just back from Fiji what they liked the most and there's a good chance the answer will be "the people." Native Fijians are renowned for being happy, hospitable, church-going people who love to laugh and sing-although a few centuries ago, as was the case in much of the South Pacific, their enemies were apt to end up on the dinner menu as cannibalism was practiced. The only remnants of that unpleasantness today are the carved wood "cannibal forks" and "warrior clubs" for sale as souvenirs. Rather, the Fijians you'll meet at resorts and when invited to visit a local village, will do everything they can to make you feel relaxed, welcome, and awed by the beauty of their islands. Fiji's crystal-clear South Pacific seawater, ideal location along protected reefs renowned for their brilliant soft coral formations and 1,000 species of fish, and relative lack of development (outside of Viti Levu, where 75 percent of the population lives), make snorkeling and diving a major draw. Almost every resort has an onsite dive operator or works closely with one located nearby and offers PADI certification for neophytes who want to take the plunge. Both intermediate and expert divers can choose from a wide array of sites, many easily accessible from resorts, and enjoy experiences ranging from drift dives to dramatic drop-offs with Fiji's dive experts, such as at the Jean-Michel Cousteau Fiji Islands Resort. As the art and science of relaxation has evolved to include wellness, resorts in Fiji have added or expanded their spa offerings. The islands' leading spas incorporate local natural resources such as fresh fruits and oils, sand and sea salt into their treatment menus. Since Fiji caters to honeymooners (many of them celebrities) couples massages and body treatments are also popular. Some of the leading resort spas include the Spa & Sanctuary at Namale Resort, the Mandara Spa at Westin Denarau Island Resort & Spa, the Jungle Spa at Qamea Resort & Spa, and the Tatadra Spa at Likuliku Lagoon Resort. A good golf course is not all that easy to find in the South Pacific. But golfer Vijay Singh, a native of Fiji, has put his country's interest in the sport on the map. Fiji's main island of Viti Levu has three championship courses, including the Natadola Bay Championship Golf Course and Denarau Golf Club. There are also a handful of nine-hole courses scattered around Viti Levu and a few outlying islands. Most of the islands in Fiji have excellent beaches, many with sugar-white sand washed by calm lagoon water since the islands are ringed by protective coral reefs. Some of the most pristine are in the Yasawa Islands. In addition, many of Fiji's resorts are set near offshore sandbars, where couples are transported for a day-long picnic with an umbrella, snorkel gear, and a cooler filled with food and drink to enjoy some alone time on a tiny speck of sand in the middle of the gorgeous South Pacific. Anyone who watched 2006"s "Survivor: Fiji" knows that the islands of Fiji are not just about romance and relaxation—they are packed with land- and water-based activities that will satisfy even the most ardent adrenaline junkies. On the main island of Viti Levu, visitors can kayak or raft the Navua River, take a jet boat safari up the Sigatoka River, or go hiking, mountain biking, zip-lining, surfing, sky-diving, parasailing, or shark-feeding. Activities on the outlying islands vary​ but include hikes to waterfalls on Taveuni and nature treks on Kadavu. Fiji is a melange of two main cultures: native Fijians, who are proud of their Melanesian culture, and Indians, who were brought o Fiji as servants by the British in late 19th-century and now, as more than 30 percent of the population, are a vibrant and visible part of the cultural mosaic. Visitors to Fiji will likely witness Fijian traditions such as a kava ceremony (also called yaqona, it is a drink made from the root of a pepper plant and water and its effect is mildly calming with a novocaine-like feel to the lips and tongue). Other rituals include the lovo, a feast of pork, chicken, fish, taro, breadfruit, and sweet potatoes cooked in an underground oven; the meke, a rhythmic dance; and fire-walking, which began on the island of Beqa.